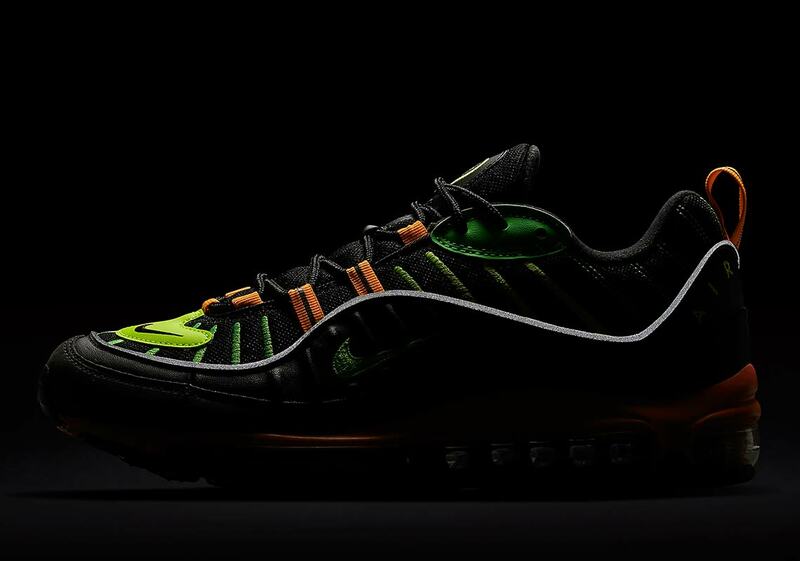 Nike’s Air Max 98 is an ideal canvas for bright and bold ornamentation due to its layered upper and heaping helping of embroidered accents. And ornament the 98 Nike certainly has, releasing wild colorways like the popular “Cone” — and also covering the upper’s panels in gaudy snakeskin on more recent releases. 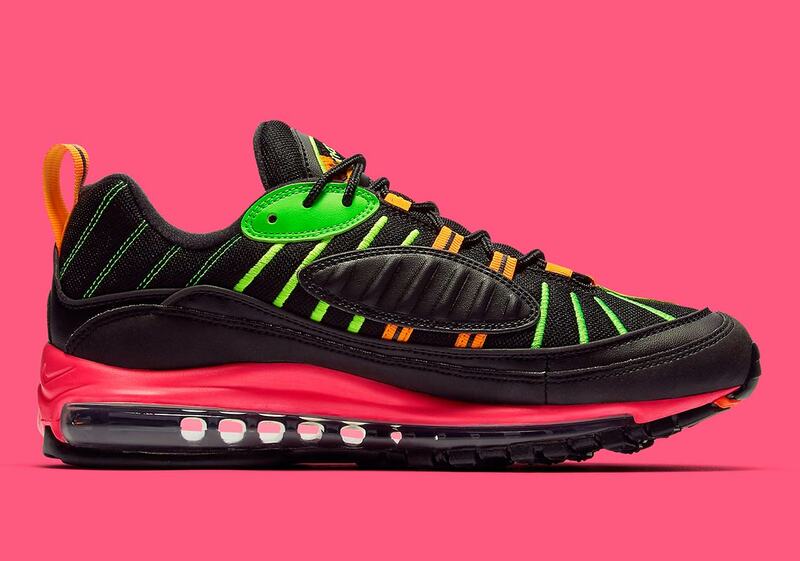 Now, another eye-catching Air Max 98 colorway is set to arrive soon: a “Highlighter” makeup, featuring a quartet of vibrant neon tones on top of a black base. While the upper’s mesh and leather construction is made up entirely of the aforementioned pitch-black, that simple first layer is merely present to let the accents do the talking, and talk they certainly do. 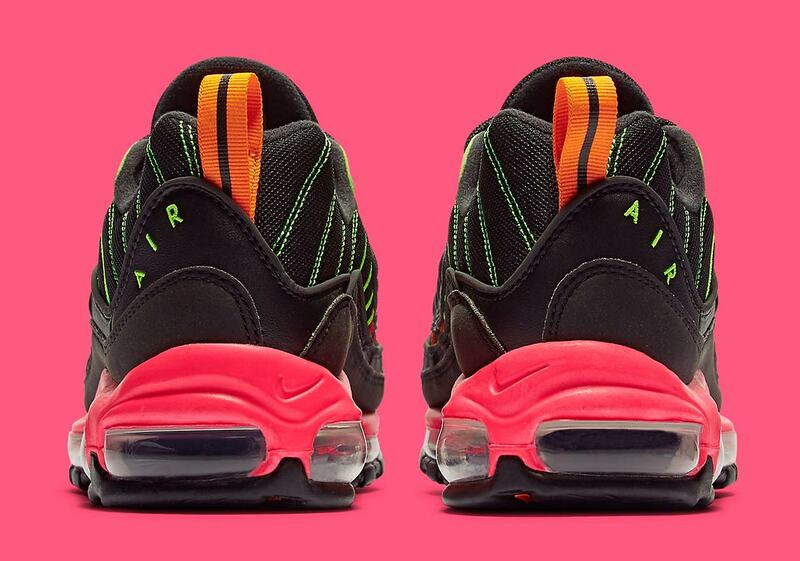 Neon yellow, green, and orange cover everything from the upper’s stripes to the lace loops and midfoot Swoosh. That’s not all for the neon either, as the midsole then calls upon a powerful pink for a punctuating pop of style. You’ll already stand out plenty in these 98s, but for low-light situations there’s also a strip of high-vis reflective piping running around the cusp of the mudugard. 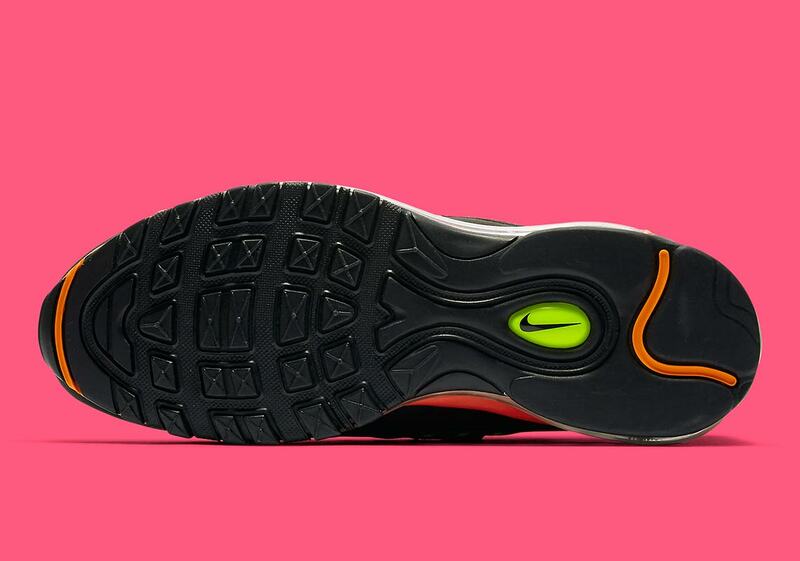 Enjoy a full set of official images below, and look for these dashing Maxes to arrive on Nike.com and at select Swoosh Brand stockists February 16th for $160 USD. 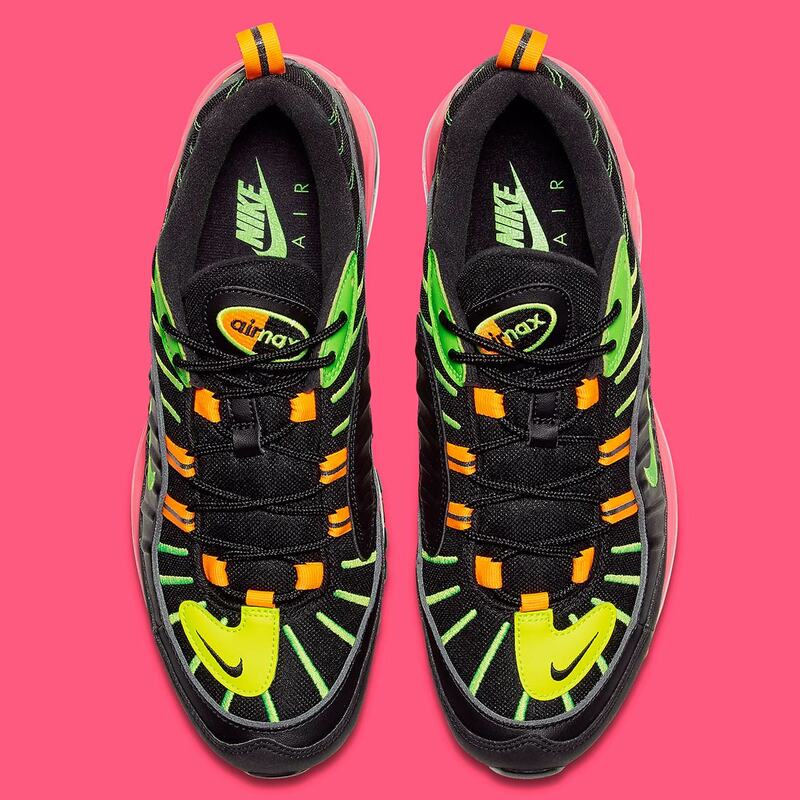 The post Nike Air Max 98 “Highlighter” Features Four Neon Tones On Black appeared first on Sneaker News.